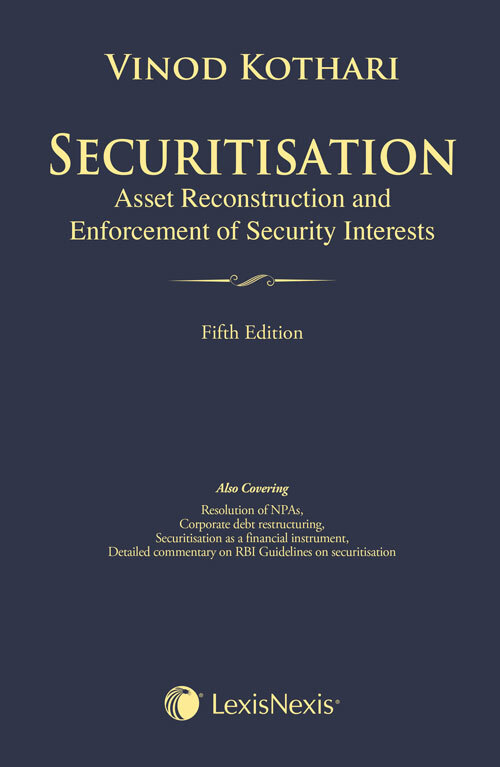 “• A comprehensive commentary on Securitisation Laws, dealing with the operational as well as the regulatory aspect of Securitisation Laws arranged under broad themes. It provides a section wise commentary on the Securitisation, Asset Reconstruction and Enforcement of Security Interest Act, 2002 (SARFAESI). It also discusses allied legislation which deal with securitization such as (i) Recovery of Debts Due from Banks and Financial Institutions Act, 1993 (RDDBFI), and (ii) Debt Recovery Tribunal Rules. Contains quick reference tables on (I) Credit enhancements; (II) Non-performing loans ratio; (III) Process of receivables securities.